The famous tsunami of 2004 in the Indian Ocean was up to 30 meters high, and was caused by an undersea earthquake measuring 9.1 – 9.3 on the Richter scale, making it the third most powerful earthquake recorded on seismograph ever measured. One of the worst natural disasters in recorded history happened on this day in 2004. 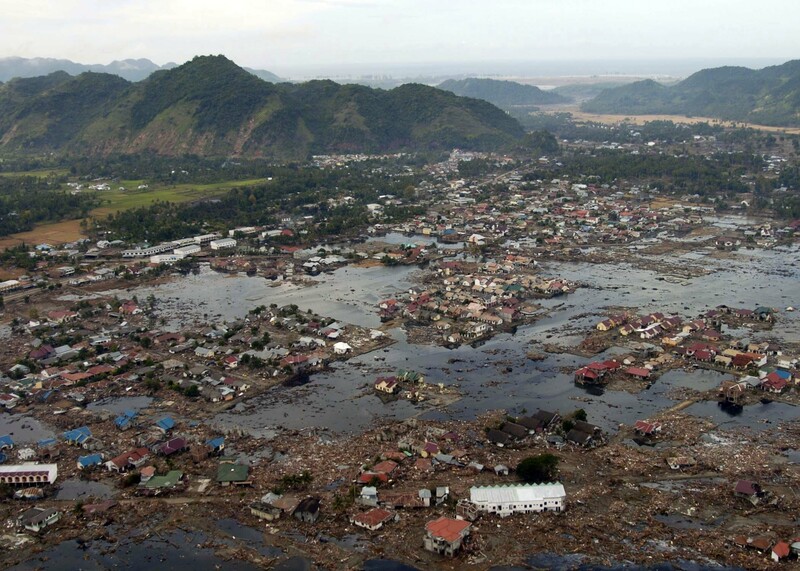 It is estimated that between 230,000 and 310,000 people died from the effects of the tsunami, which was up to 30 meters high. The tsunami was caused by an earthquake with its epicenter in the Indian Ocean, about one hundred kilometers from the coast of the island of Sumatra. The severity of the earthquake on the Richter scale was 9.1 – 9.3, making it the third most powerful earthquake recorded on seismograph since the introduction of measurements (the strongest was the earthquake in Chile in 1960, with the intensity of 9.5). During the earthquake, an energy equivalent to the explosion of 9,560,000 megatons of TNT (550 million Hiroshima bombs) was released. The entire planet vibrated by 1 cm, and earthquakes were triggered all the way to Alaska. At the epicenter, the sea floor raised by several meters, causing the tsunami. The wave could be measured even on the shores of Canada and South America. Indonesia was hit the hardest (over 270,000 people were killed). The farthest recorded place where there were fatalities was South Africa, on the other side of the Indian Ocean. A large number of casualties were the result of the fact that there were no tsunami warning systems in the Indian Ocean, so the population was not prepared. Today there is a warning system, which was established by the United Nations after the disaster.